This book ‘Converstaions’ is an effort to come closer to many insights, which with time will form the basis for a strong critical and phenomenal study of art. 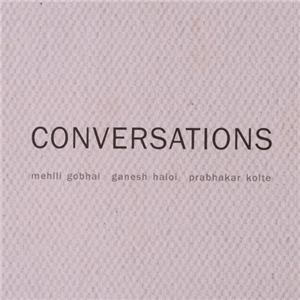 The time spent with each artist - Mehlli Gobai, Ganesh Haloi and Prabhakar Kolte - is equally memorable and we are fourtunate to share some of these with all of you. An unconditional gratitude to all artists, critics and curators who have shaped this journey.